Try mediation first: Mediation can be an excellent way to settle important aspects of your divorce without a lengthy court battle. Mediation takes less time than litigation, costs less, is entirely confidential and can allow you and your family to move forward in a healthy way. If mediation does not work, you can always proceed through the court. Do your homework: Before you go to your first mediation session, do your homework. Gather information about all of your joint possessions and assets so that you and your spouse can determine how to split your assets in a fair and equitable way so that you are able to focus on the most complex parts of your divorce during your mediation sessions. Make a list of your priorities and goals: What are you hoping to get out of your divorce? Maybe it is a specific custody arrangement, maybe it is certain joint possessions. Go into the mediation sessions knowing what your goals and priorities are will help with the negotiations in a complicated divorce. Hire the support that you need: You may think that if you settle your divorce using mediation that you do not need a lawyer or other experts. You may be surprised to learn that you can use lawyers, financial advisors, accountants and other specialists to help you navigate your divorce via mediation. Be ready to compromise: Compromise is the cornerstone of mediation. While litigation can create additional conflict between you and your soon to be ex-spouse, mediation actually empowers you and your ex to find the solutions that will work best for you and your family. You should go into the mediation process ready to compromise, for the sake of your family and your future. If you have made the difficult decision to divorce, consider partnering with Johnson Mediation to settle issues such as division of property, child custody and spousal and/or child support. Our team has helped navigate even the most complex divorces and we can help you. 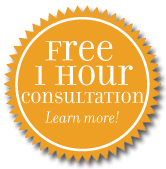 Call us at 952-401-7599 to schedule a time for a free consultation.